Zendesk brings their team for an activity-filled afternoon! Home/Classes, Community, Team Building Workshops, Uncategorized/Zendesk brings their team for an activity-filled afternoon! Zendesk brought their small corporate team to 1AM to learn about the art of the tag and try their hand at spray-painting. 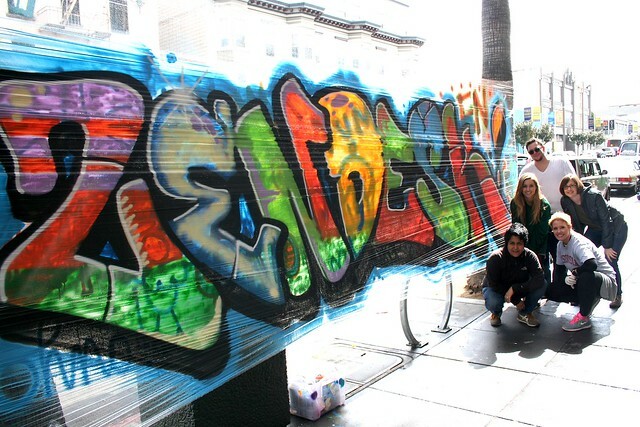 They were great sports, creating a colorful “Zendesk” mural on our plastic wall even through the rain! Email privateevents@1AMSF.com to setup an event today!